Corner to corner to corner crochet is a really neat way to make graph designs in crochet. It can seem a little tricky at first but once you get the hang of it it is really quick and easy. 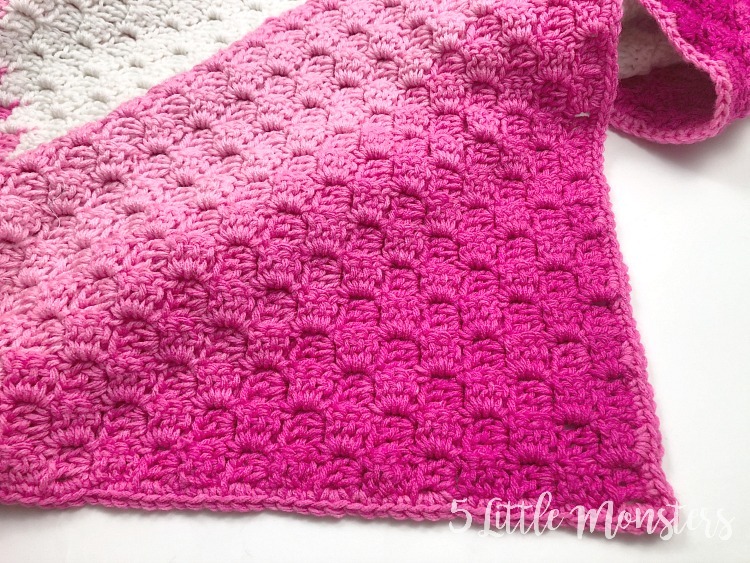 I have seen some pretty amazing graphs that people have crocheted but this project is made with a pretty simple design and only 2 colors. 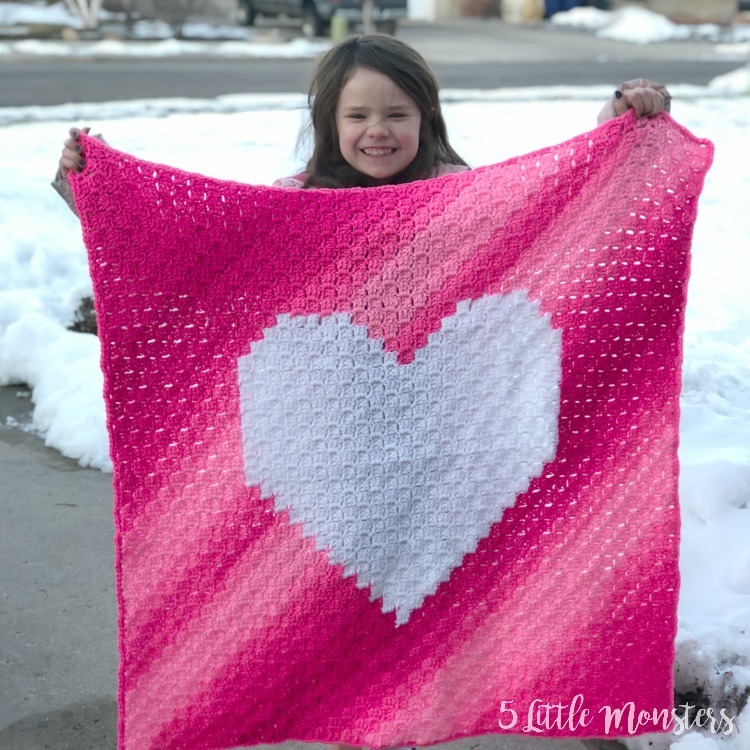 The idea for this blanket actually started with the yarn. 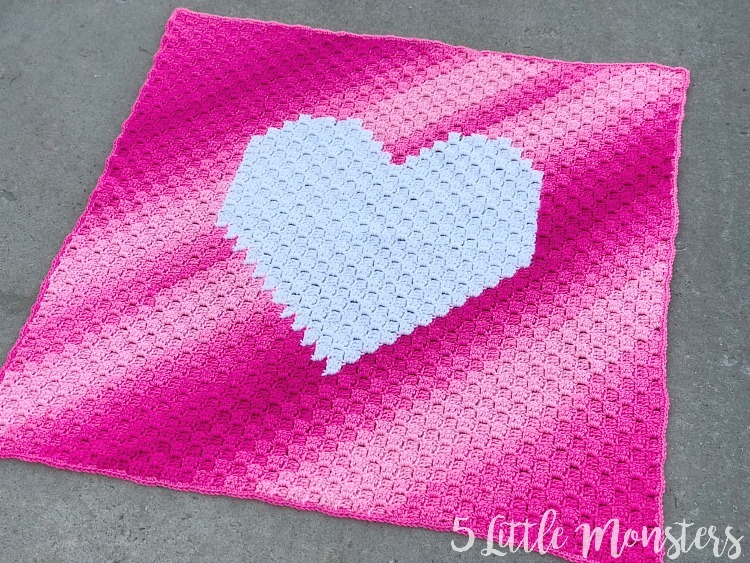 I had a skein of Red Heart Super Saver Ombre in the pink color way (Jazzy) and I was trying to think of a project to use it. I had originally planned to use it for a stuffed animal and then changed my mind, although I still think that would be a neat effect. 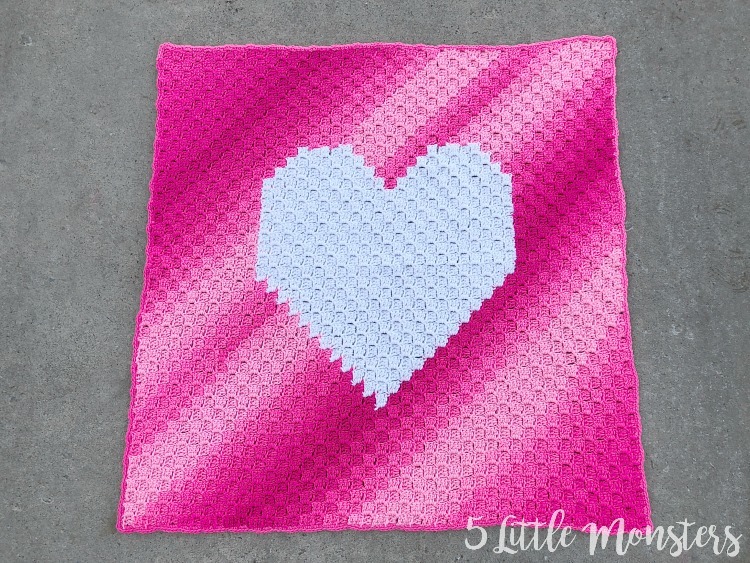 With Valentine's Day coming up the pink color made me think of hearts and thought the ombre yarn would work well in a corner to corner blanket, and thus this idea was born. It is a simple graph, only 2 colors, so it is a great beginner design. I finished it with a simple border of single crochet. 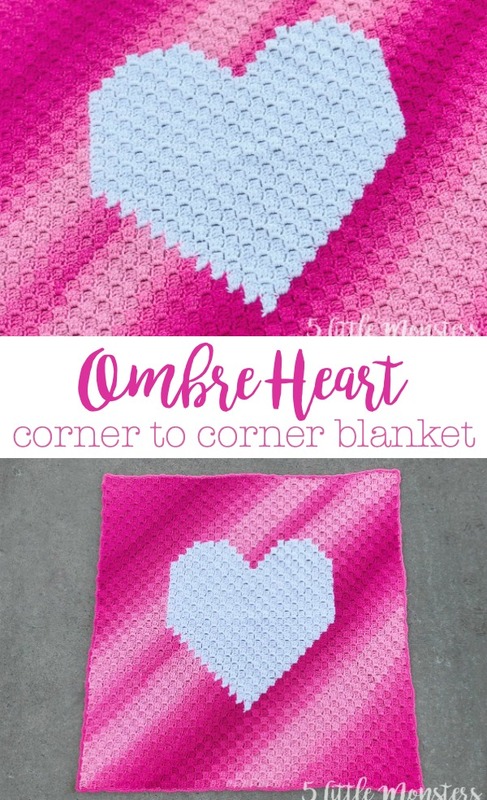 If you have never done corner to corner (C2C) crochet before Jess from Make and Do Crew has some great tutorials on everything from how to actually make the little blocks, how to change colors, to increases and decreases, and how to read a graph. 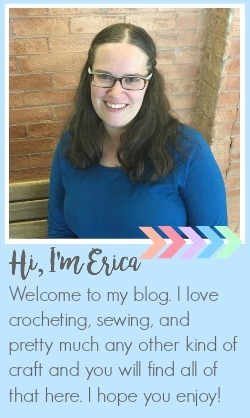 When working the corner to corner crochet start in the bottom left corner of the chart. working down on odd rows and up on even rows. 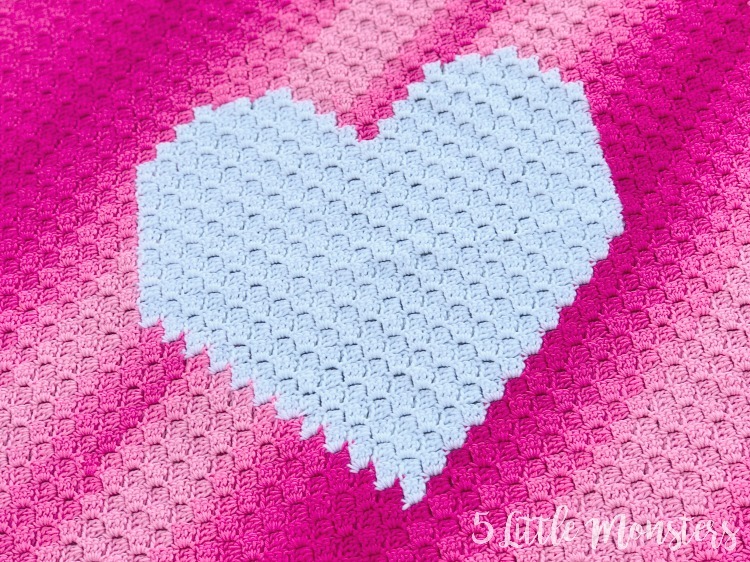 There are different ways to carry yarn, I chose to cut the pink yarn at each color change so that the ombre color change would be the same on both sides of the heart. The white yarn I left attached and picked back up on each row. Follow the graph working the pink squares in the pink ombre yarn and the white squares in white yarn.